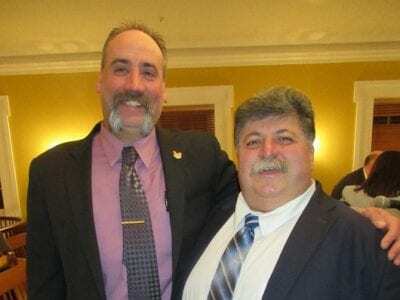 Two candidates are seeking election to the position of Southeast Highway Superintendent in November: Michael Burdick running on the Republican line and Robert Pigat, who is running on the Independence ticket. Michael Bruen, the current highway superi… Please login below or purchase a subscription to the Putnam County Courier to access this content. At left, District Attorney Robert Tendy addresses members of the legislature’s Protective Services Committee including Paul Jonke and Ginny Nacerino. 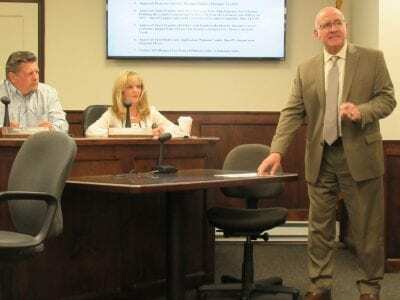 Photo By Eric GrossDistrict Attorney Robert Tendy met with members of the Putnam Legislature Tuesday… Please login below or purchase a subscription to the Putnam County Courier to access this content. Putnam County currently employs 10 School Resource Officers and 21 Special Patrol Officers who all fall under the jurisdiction of a single supervisor. Sheriff Robert Langley, Undersheriff Michael Corrigan, Captain Harry Tompkins and Sgt. William Meye… Please login below or purchase a subscription to the Putnam County Courier to access this content. Putnam Commissioner of Elections Tony Scannapieco reported late Monday that no primaries will be held this year after a number of candidates filed nominating petitions to seek election in November. The Putnam Board of Elections reported Friday that c… Please login below or purchase a subscription to the Putnam County Courier to access this content. U.S. Senator Charles Schumer is angry that the Department of Defense is planning to redirect $3.6 billion in military construction funding to construct a border wall being proposed by President Trump. During a visit to the academy Friday, Schumer sai… Please login below or purchase a subscription to the Putnam County Courier to access this content. Funeral services were held Saturday in Gloucester, Massachusetts for the mother of Congressman Sean Patrick Maloney. Joan Maloney passed away last Monday at the age of 89. Maloney’s husband, Randy Florke, recalled Joan Maloney as a “woman who lived h… Please login below or purchase a subscription to the Putnam County Courier to access this content. The Carmel Town Board has called on state lawmakers to repeal the somewhat controversial Reproductive Health Act signed into law by Governor Andrew Cuomo eight weeks ago. The law contains a series of measures permitting abortions into the third trime… Please login below or purchase a subscription to the Putnam County Courier to access this content. Photo by Eric Gross Commissioner of Health Dr. Michael Nesheiwat congratulates Commissioner of Emergency Services Ken Clair.By votes of 8-0 with Legislator Bill Gouldman absent, Putnam County lawmakers confirmed the appointments of County Executive M… Please login below or purchase a subscription to the Putnam County Courier to access this content. Governor Andrew Cuomo has once again failed to include funding in his executive budget for the Joseph P. Dwyer Veterans Services Peer-to-Peer program known as Vet2Vet. The governor signaled support for expanding the program in his State of the State … Please login below or purchase a subscription to the Putnam County Courier to access this content.